Below find pic of Tibetan chanting flags with Mantras written on them. 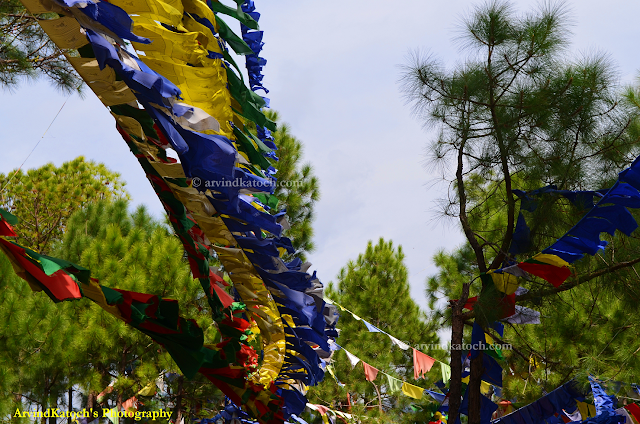 Around Buddhist settlements, we can easily spot such flags tied to trees or other objects. This picture is taken near Bhattu Monastery, Baijnath (HP).